By now, we are guessing you have heard the news reported by DigitalGlobe about WorldView-4, if not check out the details here. Given that Apollo Mapping is a DigitalGlobe reseller and that both Katie and Brock worked at DigitalGlobe for a combined 5 years, we thought it would be good to offer an opinion on the possible loss of this 30-centimeter (cm) high-resolution satellite. So you might be asking yourself now, what impact does the loss of WorldView-4 have on commercial satellite imagery clients? And well the answer is a smaller impact than you might expect at first. Keep in mind we have another 30-cm satellite in orbit now, WorldView-3, so that industry-leading high-resolution imagery will keep coming in fresh. Next, WorldView-4 was only an option for speculative tasking so there is little loss in 30-cm tasking capacity for our clients. The biggest impact will be the loss of archived 30-cm WorldView-4 images moving forward, which is definitely not ideal – that said, WorldView-4 has a relatively small commercial archive compared to WorldView-3 so again we can temper your expectations here. In the end, the loss of any satellite is a ‘tragedy’ when you are a reseller of imagery as is Apollo Mapping, but we will all be fine and the Sun will definitely rise tomorrow so fear not! If you have any additional questions or concerns about the possible loss of WorldView-4, feel free to send us a note at sales@apollomapping.com. 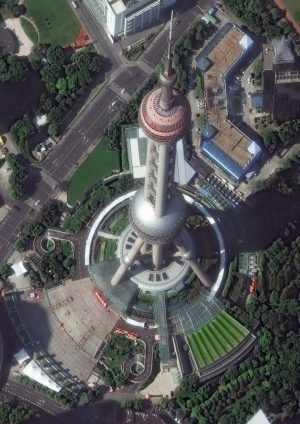 This entry was posted in The Geospatial Times and tagged DigitalGlobe, monthly spotlight, The Geospatial Times, WorldView-4 by Apollo Mapping. Bookmark the permalink.